Whatever the weather, Elmer still has fun! 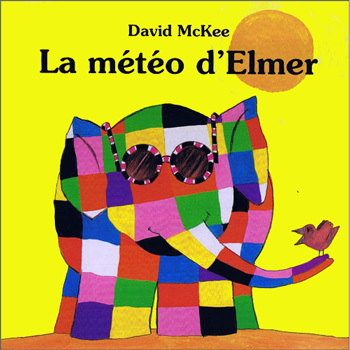 La Météo d'Elmer is written entirely in French as it is aimed at native French speakers. The language is fairly simple as it is aimed at young children.